This facility is amazing.submitted by Brandi G. - Dec 27, 2018 |Recommended: YesThe staff here are amazing, friendly, and go above and beyond. I wouldnt choose any other place to stay. It's a bit pricey, but it's worth it. The neighborhood is wonderful and so are the neighbors. Also have a pizzaria across the street and a park two blocks away. Christina and Kevin are amazing. response from property - Jan 03, 2019 Thank you for choosing us and for your valuable feedback. We are extremely pleased to hear that you have found in our community a great place to live. response from property - Jan 03, 2019 Thank you for taking the time to leave this review. We apologize for your unpleasant experience with our team and please know that we are working diligently on our end to ensure that all of our residents are satisfied with our service. We truly value your feedback and must definitely will work on improving our service. Please feel free to contact us at bayonne@thinkkaplan.com as we would like to hear more about your experience with our team. Thank you! response from property - Jan 03, 2019 We are so glad to hear that you love living in our community!  Thank you for your trust and for choosing Camelot at Bayonne as your home. The Camelot is a wonderful place to live submitted by Caresse G. - Dec 28, 2017 |Recommended: YesLiving here is a great experience I would recommend highly. Comfy submitted by Mildred C. - Oct 18, 2017 |Recommended: YesNice place to come home after a long day. Some neighbors are nice and respectful. Office staff friendly and always responds to concerns we may have. response from property - Oct 20, 2017 Thank you for being a valued resident of our community and for your feedback. Greatly appreciated. response from property - Oct 09, 2017 Thank you! We truly value you as a resident. If there is anything we can do to improve your living experience at Camelot at Bayonne, please don't hesitate to let us know. Good place peaceful environmentsubmitted by Dheenathayalan S. - Feb 01, 2017 |Recommended: Yes Good place peaceful environment Every other month, management arrange some party People friendly staffs neighbors Overall nice place to stay Little away from light rail station by walk, would be great if they can arrange a shuttle service..
response from property - Mar 02, 2017 Thank you for the great feedback! We will definitely work on your suggestions. Let us know if there is anything else we can do to continue making your living experience a pleasant one. Nice place to live for NYC commuting however 18 minutes long walk to go to 8th St Light rail station submitted by Dwaipayan C. - Oct 28, 2015 |Recommended: YesNice place to live for NYC commuting however 18 minutes long walk to go to 8th St Light rail station to commute to Exchange Place. I wish we had a shuttle service to light rail specially during winter. Also considering the locality the rent is on a higher side couple of hundred dollars more . Otherwise everything else is great. I enjoy living in this community. Beautiful, clean, classy place to live.submitted by John B. - Sep 16, 2015 |Recommended: Yespeople are friendly but not intrusive. close enough to everything yet far away enough from the big city hustle and bustle. Everything I wantedsubmitted by Russell S. - Sep 12, 2015 |Recommended: YesEverything I wanted in a new apt. Modern conveniences, available parking, concierge, and a very personable knowledgeable staff has made this a very enjoyable experience. I LOVE IT HERE!submitted by Aaron V. - Feb 03, 2015 |Recommended: YesAwesome love the staff and met some cool neighbors! Nice and quiet neighboorhood.submitted by Julia M. - Jan 26, 2015 |Recommended: YesIt is nice and quiet.